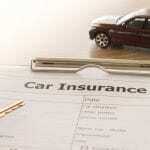 Home > Curtis Helms Insurance Blog > Are You a High-Risk Driver? We Can Answer Your Insurance Questions. You’ve probably often laughed at the foolish belief that bad luck comes in threes, but if you are on your third traffic ticket, third accident, or have otherwise been classified as a high-risk driver, you might be hoping it really does stop at three. The consequence of a run of bad luck and possibly poor choices behind the wheel is that it can be challenging to find adequate insurance coverage, especially something affordable. The good news is that there are high-risk auto insurance policies to be had, although it can take a qualified professional to find them for you. More good news is that you won’t be stuck with the higher premiums of high-risk auto insurance forever. If you take steps to be a safer driver going forward, eventually the age of the past problems will no longer affect your premiums. While you won’t find your new coverage to be anywhere near as affordable as it was before, there are things you can do to keep the cost manageable. Your insurance agent can tell you about discounts you might not have taken in the past, such as bundling with your homeowners coverage to reduce the amount of both policies. You can also discuss lowering your coverage as long as that won’t leave you too much at risk should you have an accident. A common solution is to raise the deductible if doing so won’t cause a problem if you find yourself with another claim to submit. If you are considering dropping coverage completely, please don’t. It is illegal to drive a vehicle without insurance and could result in even more problems than you already face, including losing your license. Instead, turn to us at Curtis Helms Insurance to locate high-risk auto insurance coverage for you that is as affordable as possible. Let us help you trim the “un” from “unlucky” and get you back on the road.